Seems we were melting down in the 1950s. By 1956 it would be pretty safe to say America was headed well into nervous breakdown territory. Everything was on the rise – divorce, alcohol abuse, prescription medications, fear, paranoia and irrevocable change. And it wasn’t being coped with, other than via escape. And those issues were many. We had the Red Scare, The Bomb, Changing social mores, changing race relations, changing musical tastes – everything about American society was coming into question, from political allegiances to sexuality. So of course we were a mess. No small accomplishment and no idle boast. But within that horrifying possibility came the detachment, the disconnect by many from others in society and the fear that no one, not even relatives, could be trusted. So in 1956, and continuing off and on for the remainder of the decade, media tried for answers, some assurances we weren’t all headed to emotional hell in a fear-ridden basket. One such program looking for answers was the series The Great Challenge, hosted by Howard k. Smith and airing over the CBS Radio Network throughout the 1950s. This particular episode; “Individual relationships in a mass society”, sought to bring to light just what was going on with us mentally. Were we in fact losing it? According to the panel, which included Dr. Erich Fromme and writer Lionel Trilling, we were heading into some strange, uncharted territory. Were we all doomed? Not completely likely. But it was pondered that, if in 1945 Adolf Hitler had the Hydrogen Bomb as we did in 1956, it would be a safe bet to say Humanity would not be walking the streets anywhere. Sobering thoughts – and potentially paralyzing all at the same time. The 1950’s. And you thought they were fun . . . . Here is The Great Challenge: Individual Relationships In A Mass Society – Hosted by Howard K. Smith and first aired on April 22, 1956. 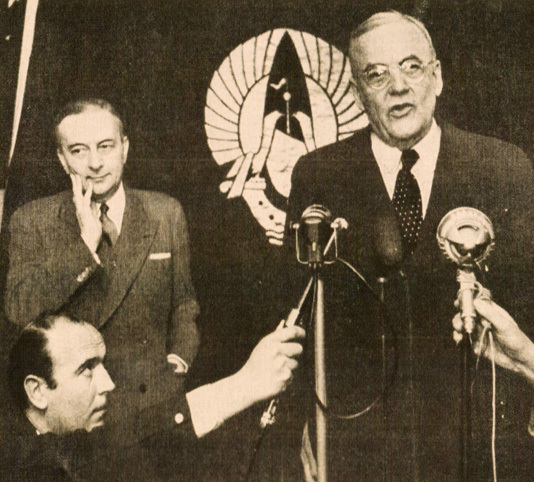 John Foster Dulles (with French Foreign Minister Georges Bidault) – An alarmists Dream Date. For the week ending this day in 1956, all attention seemed to be on an interview, conducted by Life Magazine, with Secretary of State John Foster Dulles. The gist of the interview was Dulles’ alarming tone with regard to the Indo-China (Vietnam) situation. Dulles proclaimed, in no uncertain terms, that “we were on the brink of War”. The statement sent shock waves throughout the world, and was most notably unsettling with our Allies, who had become concerned over U.S. policy of containment of Communist influence in the world was being replaced by one of aggression. Coupled with a growing concern over, what was termed in the British Press, a “tone of arrogance”, we were in a dangerous position of undoing whatever positive aspects our Foreign Policy was attempting to achieve. In short – we were becoming the Bad Guys. In other news – speculation was rife whether or not President Eisenhower was going to run for re-election in 1956. The health issue was of primary concern. All would be revealed in the coming weeks of 1956. And domestic issues took up much time on the Legislative plate this week. Most prominent was the Farm issue. That, and a lot more for the week ending this January 18th in 1956 , via NBC Radio‘s Key’s To The Capitol program. With visions of Orange Groves dancing in their heads. There was a time, if you lived in Los Angeles, that you would invariably say you actually weren’t born in Los Angeles, but born somewhere, most likely the East Coast. The Great Migration West in the 1950s threatened to lay waste to most of the formerly industrial cities in the East for the balmy climate and open spaces of the West. The new industry was Aerospace and the former Defense plants that populated Southern California were being re-tooled to accomodate the Space Race, The Cold War and the promised wonders of new technology. 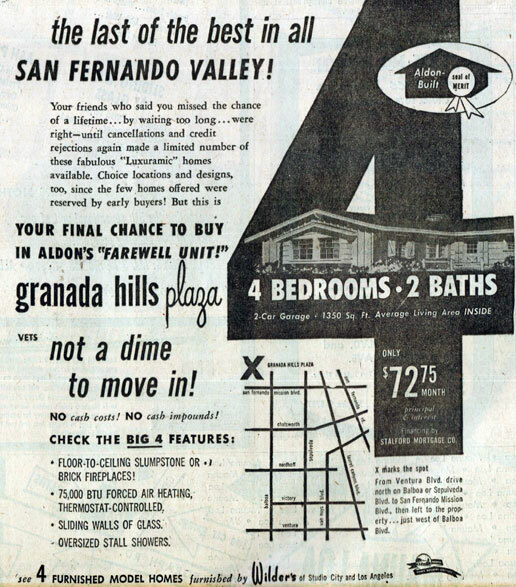 So people arrived in the millions, and what had been sprawling agricultural centers and vast orange groves were now being eroded away in favor of a sprawling Suburbia of tract homes and bedroom communities dotting every area of Southern California, from Santa Monica to Palm Springs. 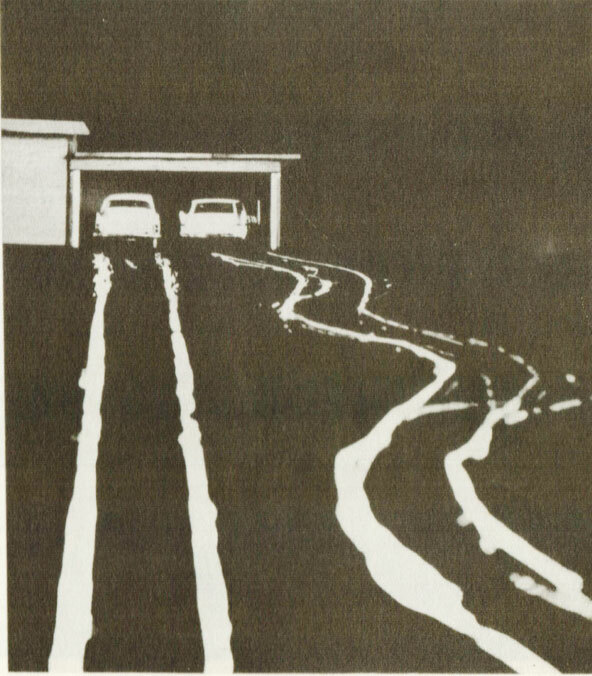 By 1959 the Migration had reached fever-pitch. And this radio documentary, produced by CBS News and narrated by veteran newsman Howard K.Smith, attempts to put this migration mania in perspective; what it meant for many to pull up stakes and leave ancestral homes in favor of the promise of endless sun and eternal Summer. Ironically, the broadcast aired on January 4, 1959 – smack in the middle of Winter. No doubt the message of year-round Summer wasn’t lost on many who tuned in from frozen points East. And it was probably responsible for several thousand more West Coast converts, if they hadn’t already been converted watching The Rose Parade a few days earlier. 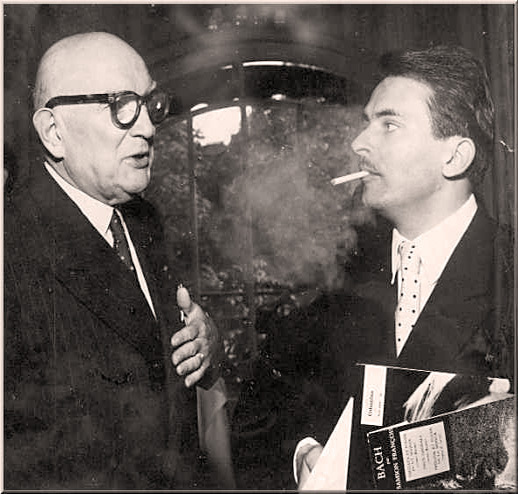 Eugene Bigot (L) with Pianist Samson Francois (R). Bigot was a major influence to many. Eugene Bigot was one of the most widely respected and recorded conductors during the 1930s and 1940s. During the era of the 78 rpm record, Bigot was responsible for recording more French repertoire heard all over the world than just about any conductor at the time. Sadly, his recording activities slowed to a trickle by the 1950s and had all but stopped prior to his death in 1965. He didn’t record much in the 1950s but he was a prolific broadcaster, with a huge number of concerts credited to him on an almost weekly basis. Not a lot have surfaced, but it’s a safe bet Radio France no doubt have many of them tucked away in the archive. At least it’s hoped so. One such broadcast, which has surfaced via the mountain of French Radio Transcriptions sitting in my archive, is a performance of the haunting Offrande à une Ombre by Henry Barraud, recorded during a studio concert circa 1951-1952. A seldom performed piece anyway, it’s speculated this performance was one of the first, and it certainly pre-dates the Paul Paray/Detroit Symphony recording for Mercury by a few years. So – a rare performance by an iconic conductor of a work by a sadly neglected composer. And look for more just like it during the coming year. 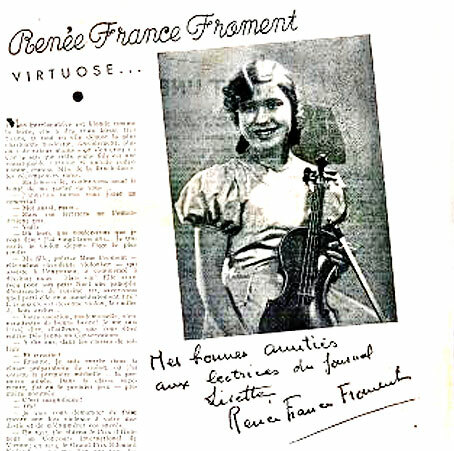 Renèe France Froment – concert program – bright musical light on the horizon. 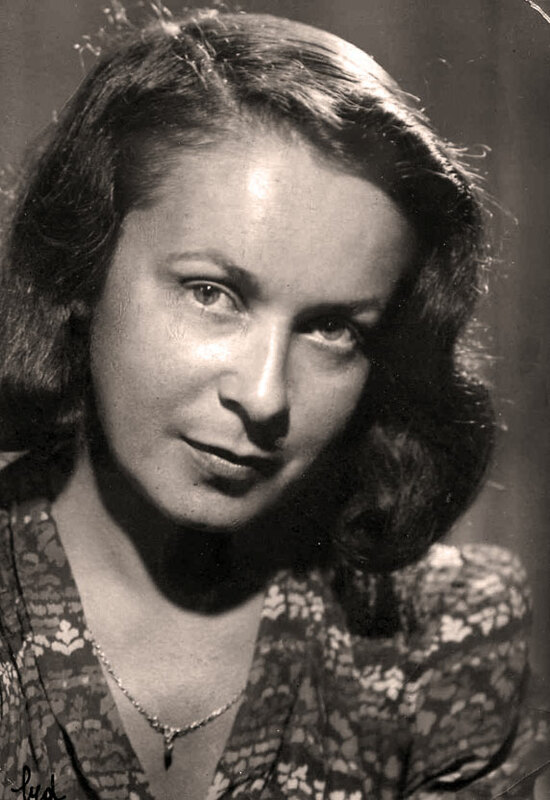 Another rarity this weekend – and another broadcast recital from French Radio in the 1950’s. This one features rising-young-star Renèe France-Froment on violin with legendary pianist-pedagogue Louise Clavius-Marius on Piano in a performance of the Sonata for Violin and Piano by contemporary 20th Century composer Jean Hubeau. As with all these discs (and there are a lot of them), dates are sketchy. Sometimes the best guesstimate is based on looking to see when the disc was broadcast by the particular radio station the disc came from. My best guess on this performance is 1952, but it could be much earlier. In any event, I haven’t seen this particular performance reissued anywhere. And come to think of it, haven’t really seen very much in the way of commercial releases by either of these two extraordinary artists of their day. So it’s a double-dollop of good news. And speaking of good news – if you like these weekend excursions into rarity and would like to help contribute to keep it going, Past Daily is doing a Fundraiser. So any amount you feel comfortable with will make a huge difference to us and help us keep this site up and offering rare recordings like these. 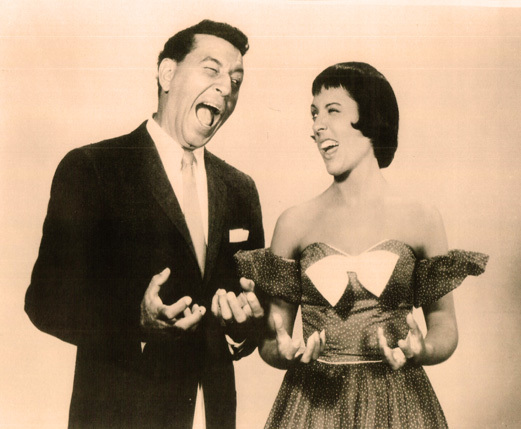 Louis Prima and Keely Smith – For a time in the 1950’s, they were reigning King and Queen of Las Vegas. In the 1980’s, legendary Las Vegas madman and trumpeter extraordinaire Louis Prima was immortalized to a whole new generation of fans via David Lee Roth‘s version of Prima’s classic Just A Gigolo/I Ain’t Got Nobody. Prior to that, Prima was known to collectors and people old enough to have seen him and his then-wife, singer Keely Smith perform in Las Vegas, where they held court for the better part of the decade of the 1950’s. And in case you thought Prima was only responsible for the aforementioned Roth hit, they had a lot more, including tonight’s track “Buona Sera” which gives some idea of how insane the band were and how influential they were for just about every Vegas lounge act that came after them. Enjoy – maybe you have a favorite Louis Prima/Keely Smith/Sam Butera track?